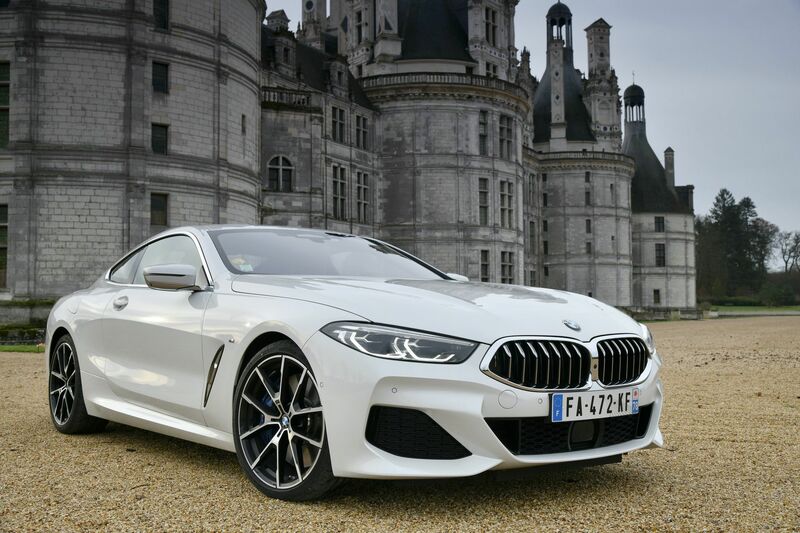 At the same national presentation of the new BMW 8 Series G15 we featured a few days ago, BMW France introduced the new 840 xDrive Coupe alongside the M850i top model. 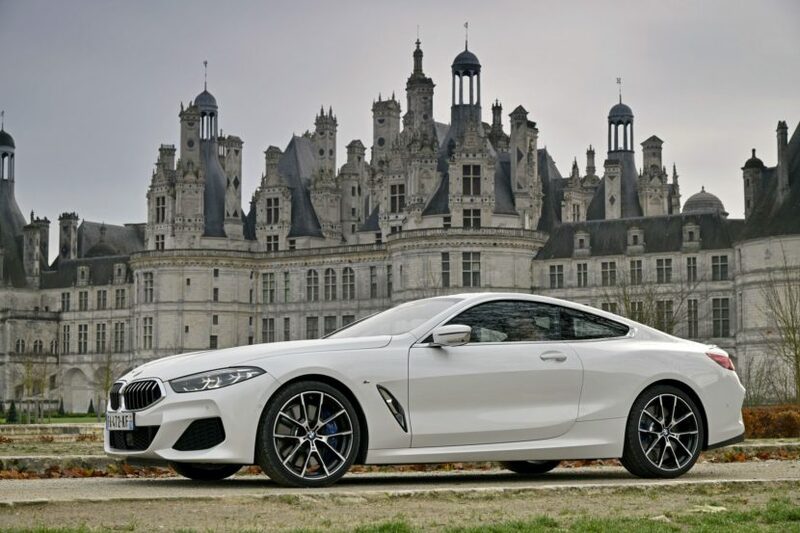 The entry-level diesel into the 8 Series lineup features the Mineral White color and the photos were taken around the scenic area of Loire. The color pallet of the 8 Series includes a Sunset Orange, Mineral White, Alpine White, Carbon Black, Black Sapphire, Dravit Grey, Sonic Speed Blue and Barcelona Blue. In addition, the 8 Series can be ordered with the help of BMW Individual in just about any paint job. On the outside, the BMW 840d xDrive isn’t that much different from the M850i. In fact, the differences are minor. So if you’re looking to buy an 8 Series and looks are at the forefront of your concerns, those two models are comparable. Under the skin, the BMW 840d xDrive doesn’t differ too much either. 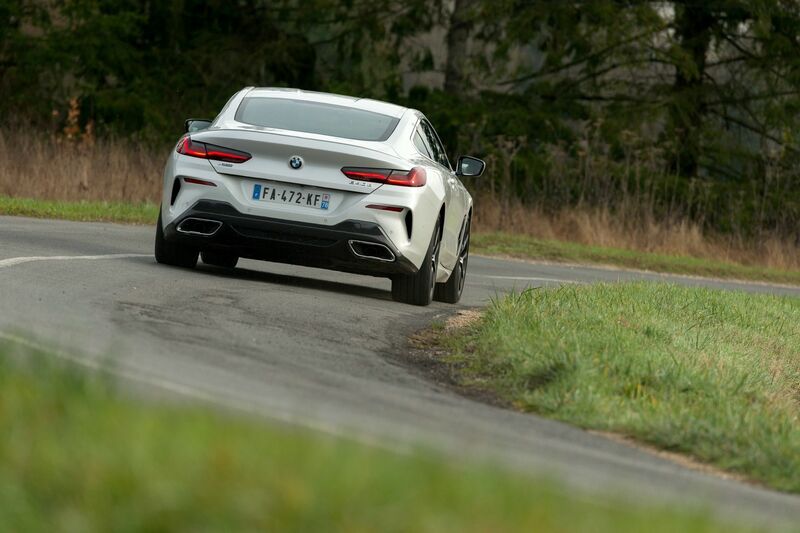 It still gets the same rear-bias xDrive all-wheel drive, system, four-wheel steering system, accurate steering and chassis dynamics as the M850i. Sure, the suspension is tuned to be a bit softer and more comfortable but that’s actually a virtue of the 840d, as it makes it more of a GT car. Still, it’s an athletic one that’s fun to drive and has excellent steering and dynamics. In the 840d, the 3.0 liter turbocharged inline-six diesel makes 320 hp and 501 lb-ft of torque. The new 8 Series is manufactured at the Dingolfing in Germany, where around 1,600 cars of the BMW 3, 4, 5, 6, 7 and 8 Series roll off the assembly lines every day. In total, the plant manufactured more than 376,000 cars in 2017.